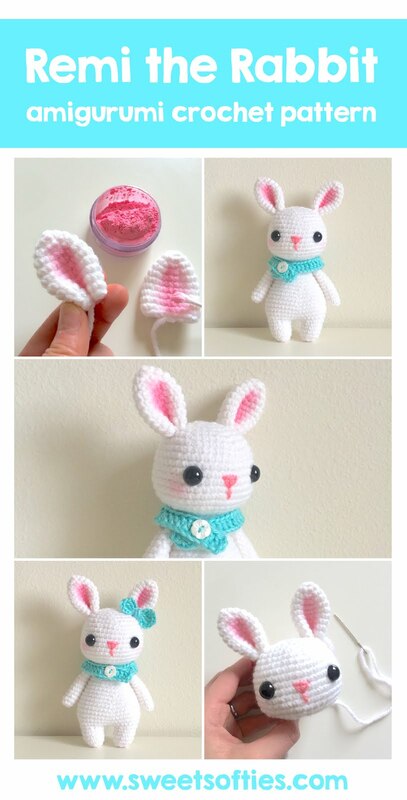 The Remi the Rabbit Pattern provides instructions for crocheting an adorable bunny rabbit stuffed animal toy (softie). The pattern includes instructions for making a couple of accessories: scarf, bow. You can add button-jointed arms for a unique look, and also customize this doll with different yarn colors, buttons, and other embellishments! Remi the Rabbit makes for a cute, handmade gift for baby showers, nurseries, children, and fans of bunnies, rabbits, and furry, woodland critters! For more Twee Toys, check out: Finley the Orange Fox, Farley the Slender Fox, Dawson the Deer, Brennan the Bear, Fletcher the Fox, and Ginger the Giraffe.